NEET Admit Card 2019: Candidates who are dreaming to become a doctor will have to go through the most difficult medical entrance exam i.e. NEET. National Testing Agency (NTA) will manage NEET exam and other competitive entrance exam from this year onwards. Aspirants, who are aiming to apply for this exam, they can download their NEET Hall Ticket available through online mode only. NTA NEET Admit Card is going to be issued by NTA on 15th April. The official notification has been released by NTA on the official website. Candidates can check the NEET Exam Date here only. You can also see other important dates related to NEET exam. Candidates must follow these steps in order to access NTA NEET Hall Ticket through online mode. Log in to the account with the required credentials like registration no, date of birth etc. 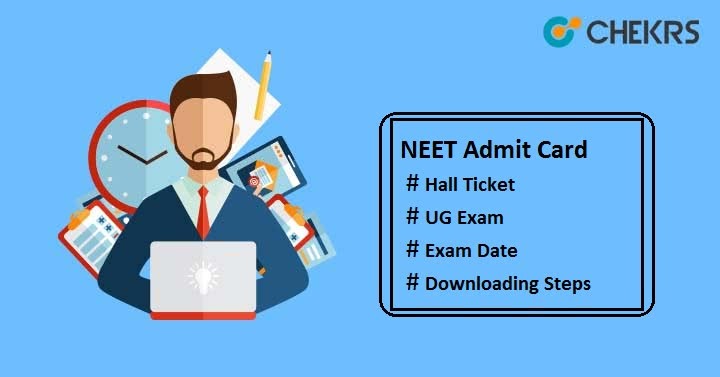 You will see your “NEET 2019 Admit Card” on your device screen. You will also get your Hall Ticket in PDF format on your registered email id. Download the admit card and then take the print of it for future use. It is mandatory to bring the admit card to the exam center as it represents the candidates identification. Must carry 2 passport sized photograph same as uploaded at the time of filling application form. Applicants are advised to keep their hall ticket safe till the seat allotment. After exam started, no one will be allowed to enter the examination room. NEET UG Admit Card will be inspected by the invigilator present on the duty for candidate’s verification. Arrive to your allotted exam center 1 hour before the exam started. Do not carry any things except blue ballpoint pen, hard copy of admit card and 2 passport size photographs. Still have any doubts related to NEET 2019. Don’t worry; we are here to help out you. Write your queries in the comment box below and wait for our respond. We will reply you for sure.